In this class we'll practice primary techniques to complete two to three stacking rings, set with stones. We'll practice measuring, cutting, forming, soldering rings and bezels, setting cabochon design, textures and finishing. This is an excellent class if you have never taken a jewelry course or would like to brush up on your jewelry skills. 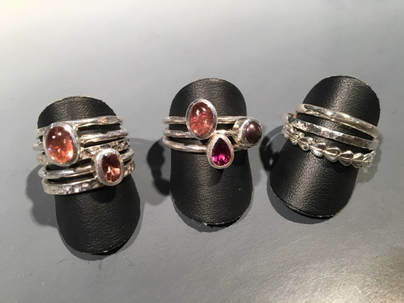 Cheyenne Hughes is a Denver native who's been been practicing the art of jewelry making and metalsmithing since 2009. He apprenticed with Ira Sherman for 5 years, helping to shape his understanding of aesthetics, design, and metals as a whole. 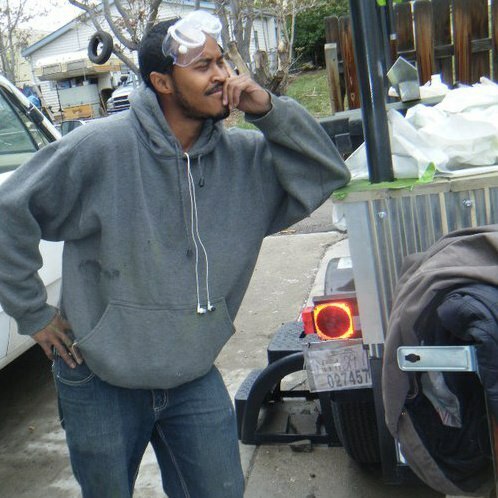 Cheyenne also worked as a bench jeweler where he learned many of the practical skills he uses and teaches today, including flush & hammer setting. 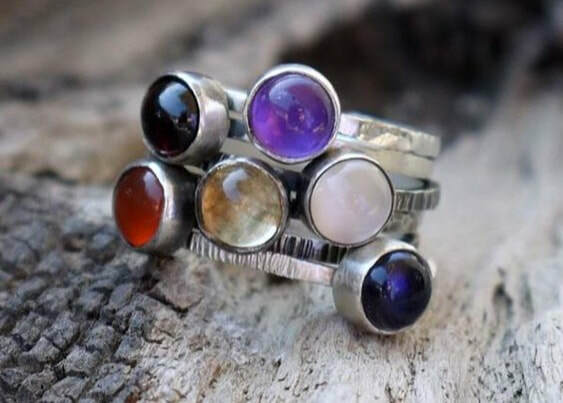 He owns Beast of Burden Jewelry, offering custom jewelry, jewelry repair, and services to other jewelers such as casting, molding, stone setting, and limited production.